Can I Export My Inventory? We know each clinic works differently, which is why we’re giving you more flexibility when it comes to managing your inventory. 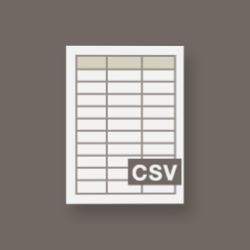 With the Export to CSV feature, you can export your inventory as a CSV to be easily read by Excel or any other spreadsheet application. First navigate to the Inventory section of your account from the Prescriptions dropdown. Find the inventory cog menu in the upper right corner, and select Export to CSV.